Earlier this week we broke the story of the BBC’s Fake Audiences on Question Time, and received a response from them yesterday – which seemed to simultaneously hide behind and hang out to dry their outsourced production company Mentorn Media – see ‘Fake Audiences Update’. We were pleased to see CommonSpace and The Canary develop the story, and note that no mainstream press has picked it up. Today a new angle has emerged with the news that when BBC Question Time was broadcast from Sutton Coldfield in September it was at the behest of one local Councillor Paul Long. But who does Councillor Long stand for? Why he’s the UKIP Communications Manager for the Royal Town of Sutton Coldfield. Now the issue isn’t about one individual acting unprofessionally or using her far-right contacts to distort and manipulate television programming. The issue is about the oversight of this process from BBC Scotland, Director Ken McQuarrie, the BBC Trust and for what passes for media regulatory bodies. We’re trying to image the scenario in which an SNP or a Green councillor had a word with their chum on Question Time to set up the programme coming to their local town. The credibility of the programme, such as it was, is being drained day by day as this story unfolds. The BBC does not do transparency, it seems. It should be simple to publish a list of people that Ms Fuller has contacted in relation to the audience selection process. It should then be straightforward to screen said list for bias, intended or otherwise, and decide whether she has unduly skewed the audience selection to further a rightist, pro-Brexit agenda. It might be that the process of selection has other, unexpected biases. Perhaps the most articulate proponents of a particular viewpoint were not selected? It would also, surely, be helpful if the BBC was fully reorganised, with separate, freestanding broadcasters in each of the UK region, reflecting the current devolved political reality. This might address the woeful coverage of Scotland, and the failure to develop talent north of the border. Time to say goodbye to the BBC, and hello to the SBC. After reading this I understood how the audience from my hometown of Dundee was so misrepresented. At the start of each programme, the public are invited to apply to become part of the audience, when participation is really only possible at the behest of a mandarin at the production company. I disagree. QT is a programme which goes out all over the UK and I for one would hate to see it being done along the lines you suggest. What I want is balance, full stop, and for the Party-politics to be kicked into touch. I want real audiences reflecting balance, and genuine debate. I want to see this story in the mainstream media. Many folk still implicitly trust the BBC and do not believe me when I question it. On a slight different story my local newspaper has been printing letters from Ukippers, Brexiteers and climate change deniers increasingly over the last few years. A constant weekly drip drip of pretty nasty stuff. The letters are usually by the same folk and are often reproduced in full and given prominent position.I have responded and found my letters sometimes edited and shortened. Not usually prone to conspiracy theories Im now wondering if there is in fact a concerted effort to fill every media space with this rubbish to convince people that vile views are actually mainstream. I say lets drown them out and fill the space with positive stuff that truly reflects the best we are and also the nation we wish to be. When we ignore it we leave a void that they will always fill with their hate. You’re lucky your letters even make the paper in any form. Where I am, the local weekly paper, owned by have-a -guess?, no longer prints any letter from a certain political party, despite said party having the elected MP and constituency MSP, but syndicates letters from outwith the area (“Name and address supplied”). who are Ukippers, climate change deniers, anti-Holyrood, etc., etc., etc. To both above, I think you should name and shame the papers you refer to. It’s time we all exposed our media whether local or national and made them aware that we are on to them. I have found exactly the same in my local press , we also have an SNP MP and an SNP MSP . Looks like there is a concerted effort from editors (instructions coming from their paymasters of course ) to trash the SNP at every turn . I was going to ask if Private Eye have been copied, the remembered #HIGNFY ! Right, Alison Pedley sorts out who’s to be in the audience. Alison Pedley can use her influence to get the programme broadcast from a particular town. So who decides who’s going to be on the panel? Now on 29th August the external QT audience producer – as per above – tweeted ‘Live near Dundee come to BBC Radio5 Live Victoria Derbyshire prog tues 2 sep on Scottish independence’ (sic) – was she helping them out? Hired or not? Remember as set up guests for it from Yes Scotland – and as a Dundonian was rather surprised at audience. And not sure your McQuarrie focus is relevant – no fan – but not sure he’s culpable for the failings of BBC HQ who – after all – are behind who does what and where. ( from former senior BBC person). Indeed! Until this week, Ken MacQuarrie was Director of BBC Scotland. 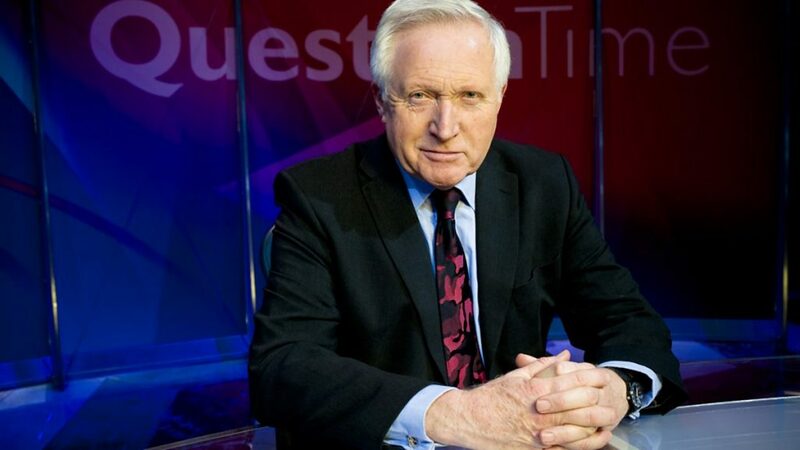 Question Time is a BBC Scotland production, so the buck should stop with him. Cheers to Bella for this update. I share the concern that this issue hasn’t yet been taken up in the MSM. That is pretty disgraceful. This latest Bella article should alarm us all. Thanks for this Martin, I hadnt seen that. Is the Huff Post msm? Huff Post is not a mainstream media news outlet and rather prides itself on the point, just like Breitbart. I think you should consider the size of its readership rather than what stream it occupies. Its credibility is being drained? Did it have any to start with? If it’s a matter of drainage, Alf Baird’s the man you want! Aye Graeme, Scotland haes need o a pouerfu slump souker tae muck oot thon; efter ower three hunder year o unionist trochin thay slump-dwallers are deeply sheucht. Ye’ll be gey clarty afore ye’re feenished, Alf! I follow campaigner Jack Monroe on Twitter (@MxJackMonroe) and yesterday she posted a screenshot of Alison Fuller Pedley’s Facebook account with a Britain First post shared. And apparently not a one-off either. We welcome your feedback about our programming or websites. See you got an article about this publish in the Herald. Well done! I would argue, that it is not about ‘alt and trad’. It is about investigation, and you had that in spades! Even in this post truth world! Suppose the Darlington ‘branch office’ receives 1000 calls a day from people in Scotland? Maybe we should pick a day of action, and just do it? Maybe a small point, but when I checked she was listed as a member of the “British Patriot Front” Facebook page (not just a “liker” of the “British Patriotic Front”). Her profile was listed amongst the other 200 odd other members. Having just checked again she’s not there. I’ve no way of verifying what I swear I saw the first time. Maybe somebody else can.